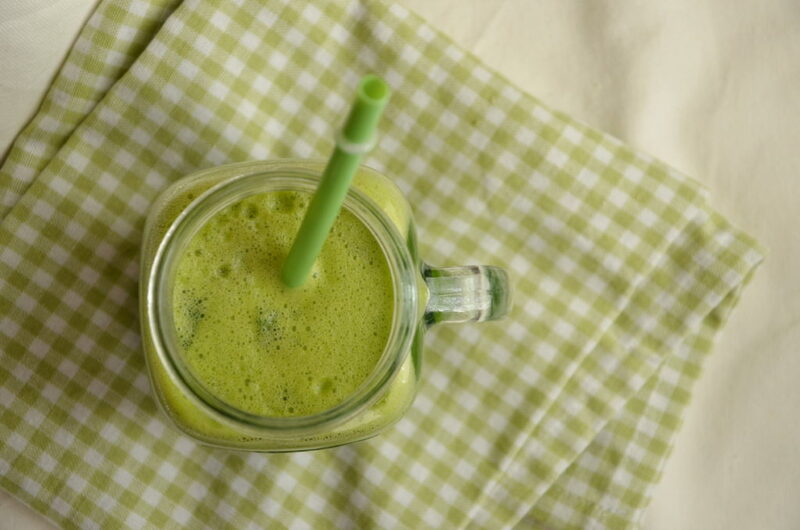 This very green juice owns its color to spinach leaves, its sweetness to apple and pineapple, its refreshing effect to cooled cucumber and its spicy touch to ginger. Spinach juice is very healthy as it contains plenty of vitamins, folic acid and fibre. 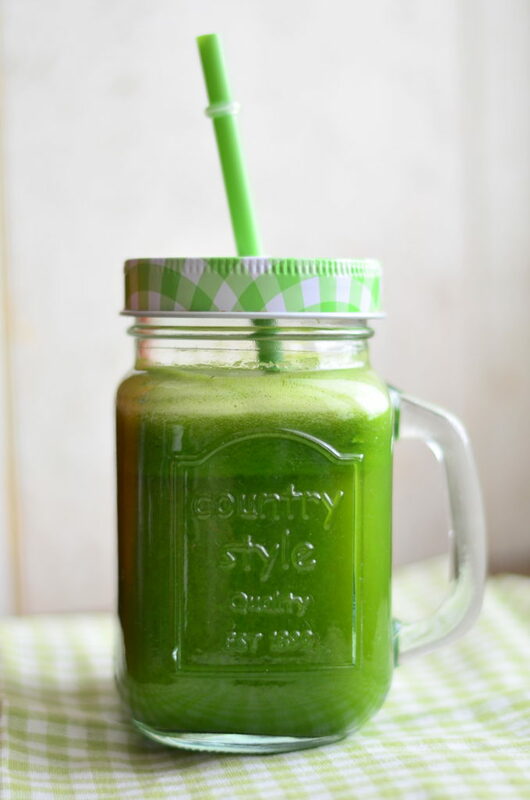 I like to prepare this juice in the mornings, as it is also a good detoxifier thanks to fresh apple juice. Wash all fruits and vegetables. Cut apples and pineapple into smaller bits and throw all ingredients into the juicer. Stir the juice well so that all ingredients blend together. Pour into glasses and serve.